Birth injuries can result in lifelong consequences for both the parents and the child. Serious birth injuries can result in permanent disabilities and a lifetime of expenses. Birth injuries are often the direct result of medical negligence or preventable medical error by the doctors, nurses, and staff during the labor and delivery process. When birth injuries are attributable to medical negligence, the civil legal system gives injured parties the ability to obtain financial compensation from doctors, hospitals, and their insurance carries. 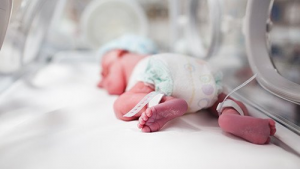 If your child has suffered a birth injury, your question is where do I go from here? What can I do to bring about the best possible outcome for my child? If your child had not suffered a birth injury, money is important yet still pretty far down on the list of what you need to make a good life for your child. For a child with significant birth injuries, money jumps higher on the “things you need” chart. So if someone wonders why you are worried about filing a lawsuit instead of focusing on your child, I think bringing a meritorious birth injury claim is exactly what you do when you are putting your child’s future first. Below are some common questions parents ask in birth injury cases. A birth injury refers to physical harm or damage to a baby that occurs during the labor and childbirth process. Birth injuries are different from birth defects. A birth defect is a health condition or disability that is genetically inherited and not the result of trauma during childbirth. Birth defects are generally not preventable or the result of negligence. By contrast, birth injuries are not the result of genetics but rather an event during birth causing an injury or condition in a child who was otherwise healthy. I’m not sure where to make this point but it is a necessary point to make. Parents often do not know whether their child has a birth defect or a birth injury. In fact, parents who suspect malpractice in a birth injury case are often right for a different reason than they originally believed. Often, you need a birth injury lawyer and obstetricians and pediatric experts to noodle through the medical records to understand what really happened. Why don’t parents know what happened? Healthcare provides too often leave the family in the dark – intentionally and unintentionally – about what really happened to the child. The money from a birth injury lawsuit can help give a disabled child better opportunities in life. It can pay for much-needed care and assistance that might not be covered by insurance. Compensation from a birth injury claim can pay for expensive mobility aids and devices such as electric wheelchairs. These devices can often make a world of difference in the quality of life for a child who is disabled by a birth injury. Without a birth injury settlement, however, most parents might not be able to afford these things. When Do You Have a Valid Birth Injury Case? In order to have a viable case, the birth injury must be the direct result of the care provided by the doctors or hospital staff during labor & delivery (or earlier during pregnancy). If your baby’s injury is clearly unrelated to the medical care you received then you won’t have a valid birth injury case. For example, if your baby was injured because you were in a car accident or experienced some other physical trauma during pregnancy, the doctors will not be liable. At a minimum, the injury to your baby must have a connection with the doctors and/or hospital staff. More specifically, you will need to show that the doctors “breached the standard of care” in some way. This basically means that the doctors or other medical professionals made a mistake, acted negligently or otherwise deviated from accepted standards of medical care. Sometimes this can be pretty obvious, such when the hospital staff fails to properly install monitoring equipment or administers the wrong drug. In other cases, however, medical negligence can be much more subtle and seemingly subjective. For example, failure to perform a timely emergency c-section is one of the most common negligence claims in birth injury cases. In some circumstances, a delay of only 10 minutes can be considered medical negligence whereas in other cases a delay of several hours might be okay. If your baby has a serious birth injury, your first priority will undoubtedly be getting the appropriate medical treatment and care for your baby. Although many birth injuries result in permanent disabilities, early intervention and care are still very important. If you have reason to believe that the birth injury may have been the result of medical malpractice or something that happened during childbirth, it will be helpful to obtain as much information as you possibly can from medical records and things like that. You have a right to request medical records from the hospital and your doctor’s office. Eventually, the first initial step in bringing a birth injury lawsuit will be to hire a good birth injury attorney/law firm. The first thing that a birth injury lawyer will do is investigate your case to determine whether or not you have a viable malpractice claim. Any investigation will begin by collecting and reviewing all of your pertinent medical records. Once the attorney has collected and reviewed the medical records, he or she will likely identify potential theories of malpractice. At that point, the next step will be to consult with an expert witness. The expert witness will likely be another doctor of the same specialty (e.g., another OB/GYN). 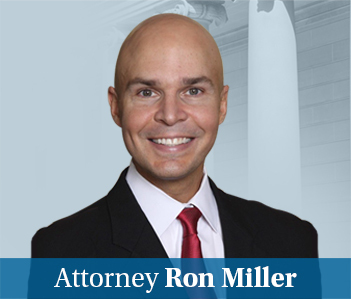 The attorney will discuss the malpractice theories with the expert and then have them review the medical records themselves and render their own opinion as to whether the doctors were negligent or made a mistake. If the expert reviews the case and agrees that the doctors appear to have breached the standard of care your lawyer can start the process of actually suing the doctors, hospital or other potential defendants. Before filing the actual lawsuit most birth injury lawyers will contact the defendants and present the basis of your claims. Sometimes this will lead to a settlement offer before any lawsuit is ever actually filed. 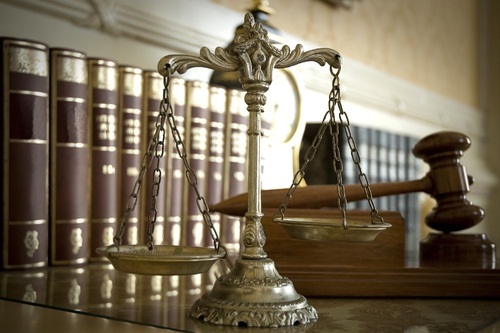 If the case does not settle early then your birth injury lawyer will proceed with filing the actual lawsuit and going forward with the process of discovery in preparation for trial. Discovery involves fact gathering by each side. This includes document requests and depositions of most key witnesses. In many cases, the process of discovery leads to settlement discussions. Even if they think they did nothing wrong — and they usually think they have done nothing wrong no matter what the evidence shows — many malpractice defendants and their insurance carriers will offer to settle a case simply to avoid the cost and uncertainty of going to trial. How Much Will a Birth Injury Lawyer Cost? Almost all birth injury attorneys work on a contingency fee basis. This means that they get paid by receiving a percentage of any money that they collect on your behalf. If they don’t get you any money you don’t have to pay them anything. The contingency fee percentage is typically between 33-45% depending upon the state and some other factors. Forty percent is a common number in Maryland. If your baby has developed a birth injury as a result of negligent medical care, I can help you investigate your case and determine whether you have a medical malpractice case. Call me at 800-553-8082 or get a free online consultation.